If you’re the father of at least one daughter and you’re looking for a great father book, here’s one that could be really interesting—whether you’re a new dad and even if you are an experienced one, as I was. Hi, I’m James I. Bond, founder of The Father-Daughter Project. I’m also father of a son and three daughters. 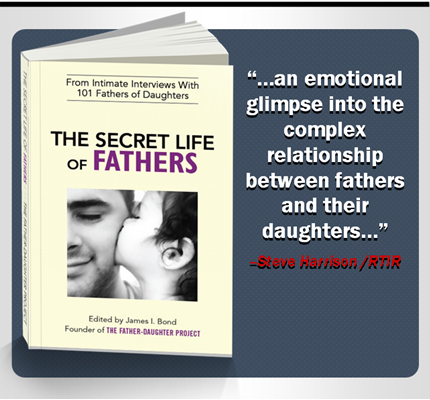 And let me tell you, if you’re looking for a simple father book that really makes sense, consider this… When it comes to understanding what dads really go through, few people understand it better than dads who’ve gone through the experience themselves. Most people don’t realize that raising a daughter is different from anything a man will ever experience. I know because, even though I ran a training and behavior management company, I discovered first hand how difficult being a father to daughters could be. And when I searched for a father book that could provide help and advice, all I got was a bunch of so-called experts. Their help was nice, but I needed something fast and simple, that dealt with the real issues a father faces. So, since I couldn’t find a father book that covered what I wanted, to learn about what fatherhood was really like, I went right to the source—real fathers of daughters. And what they told me was amazing. In the end, more than 101 fathers of daughters agreed to be interviewed. More than 200 hours of recorded interviews from real dads talking about their own experience with fatherhood. The good, the bad and everything in between. They talked about every phase of raising a daughter, from their first experience of her birth, through the twos, the school years, the teens, her getting a driver’s license, and up through adulthood. All the stuff that only a dad would know. And since no other father book covered all this in a simple east-to-use format, I decided to make it available in a new book, called THE SECRET LIFE OF FATHERS. Here’s the father book many dads have been waiting for. Unlike many of the best Father’s Day books, The Secret Life of Fathers is also good as a training manual for any time of the year. And it doesn’t just have tips for new dads, but for every phase of fatherhood. In it you get to learn all those little things, not just about fatherhood, but about being father to a daughter. Some of the complicated things, and plenty of the really fun ones. The kinds of stuff only a real father of a daughter would be able to tell you. And the best part is, it’s in bite-size pieces, so it’s really easy to read and scan. It’s like having a boot camp for new dads and new father’s to be (expecting a new daughter). 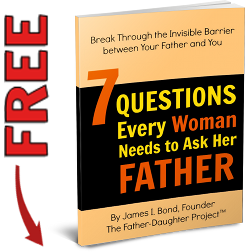 When it comes to finding a really useful father book, people are telling us, this is like the first-ever real, training manual for fathers of daughters. 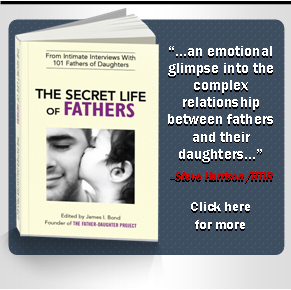 If you’re a father to at least one daughter, regardless of her age, you owe it to yourself to check this out. 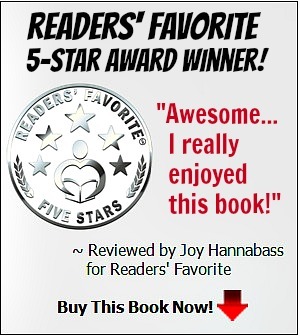 THE SECRET LIFE OF FATHERS, one of the best father books you’ll find, cause it’s from real dads!